Deflate-gate Confirmed! Who is surprised...? 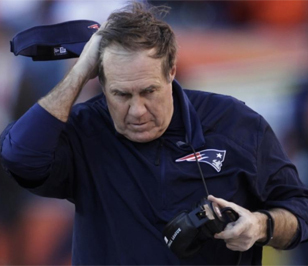 Have you ever said "Damn, the Patriots are so lucky, they get every bounce!" Its not luck. It is 100% orchestrated by the biggest villain in the NFL. A league investigation revealed that 11 out of 12 balls provided for the Patriots’ exclusive use in the AFC Championship game were under-inflated, by about 15%. And now the league has to spend 2 weeks promoting and celebrating a team led by a guy that deliberately smacked them in the face and disregarded their rule book. There's something to be said for putting out fires before they start. We all saw how the media served as a raging incessant distraction to the team during last season's "Bully-gate" scandal. 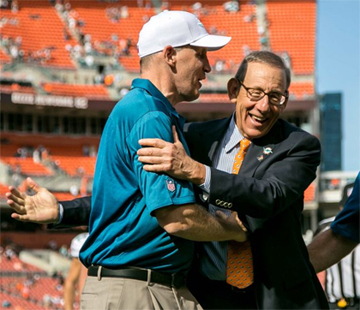 So it isn't surprising that Dolphins' owner Stephen Ross wanted to squash the media circus before they even unpacked the tent. "I believe in this coach, we're building something great," Ross said in a post-game interview, right after the Dolphins were officially knocked out of playoff contention. "I'll give you a Christmas present, you don't have to keep asking me," he continued. Many Dolfans, myself included, assumed that Philbin's dismissal from the team was a certainty if the Dolphins were to miss the playoffs in 2014. Well, now at 8-7 and out of contention, the only thing they have left to play for is "measurable improvement" over last season's 8-8 finish. Well, that and another crushing defeat of the stinkin', lousy, rotten Jets. Anyone who knows me knows that I am the eternal Dolphins' optimist. Just read any previous articles, or any of my forum contributions if you don't believe me. I am that guy that thought Jeff Ireland was doing a great job. I was the guy that thought losing to Green Bay at the last second was a good thing. I am that guy that said it was great the the Dolphins hung tough with Denver. Today, I think I hit my breaking point. No one really expected the Dolphins to beat Denver in week 12, did they? Well, maybe some people did. But the reality is, as expected as the loss was, the rest of the NFL was still winning their games, making the playoff push for the Miami Dolphins an uphill climb. Now, I recognize that this Dolphins team, compared to the last 10 or so iterations, is vastly improved. We have finally seen quarterback play which we can build upon and is dependable. We have finally seen a top-5 defensive unit and receivers that catch more balls than they drop. But, improvement or not, the Dolphins find themselves in the midst of the worst possible season to make a playoff run. 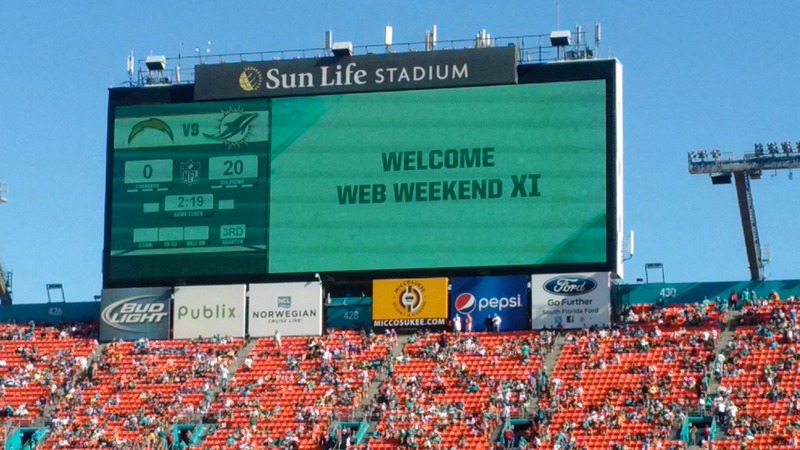 Each season, the Dolphins host an event in conjunction with Miami Dolphins Special Teams called Web Weekend. During this weekend, the team invites a few members responsible for the various fan sites dedicates to the Miami Dolphins to attend a special three-day schedule of events. Like many in the past, this year, the Dolphins hosted the event around the Chargers game. The webmasters attended a dinner party on Friday night, followed by a Special Teams charity activity on Saturday morning. Team TDMMC assembled over 2000 small cardboard coin banks for use by these charities to collect money in time for the holidays. In all, they ended up with 25,000 coin banks and expect to raise a quarter of a million dollars by filling them up this holiday season.